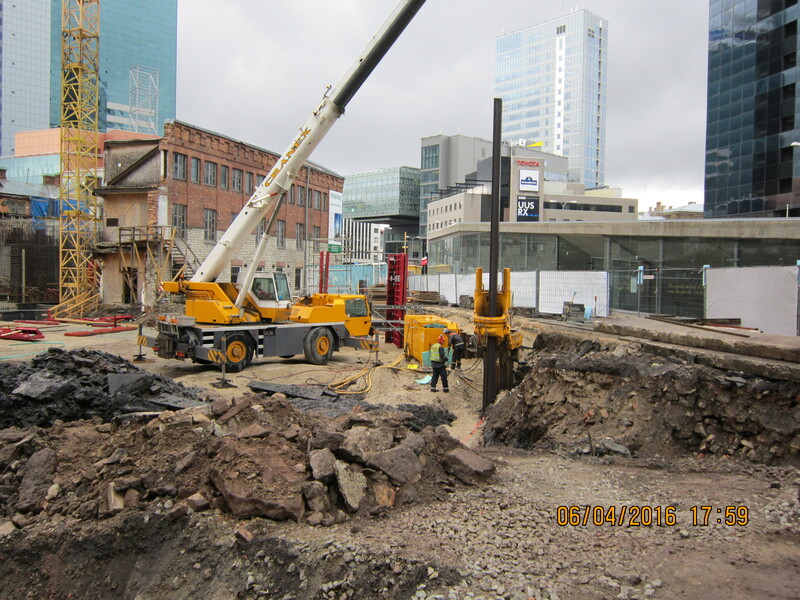 Sheet-pile walls with the length of 8-14 meters were installed at Maakri 19/21 Tallinn. Total volume of the work was 250 meters. 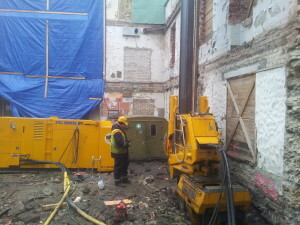 The sheet-pile wall was sunk without vibration by using the penetration method. As in some places the elements of sheet-pile walls had to be sunk as close as 0.5 metres from the adjacent buildings and the impact of vibration to the building had to be avoided, a vibration-free sinking method had to be used. There was no damage detected on the buildings.